â€¨The Assignment: Record the sound of ice in a glass and make something of it. This project’s deadline is 11:59pm wherever you are on Monday, January 9, 2017. This project was posted in the morning, California time, on Thursday, January 5, 2017. ”¨The Assignment: Record the sound of ice in a glass and make something of it. 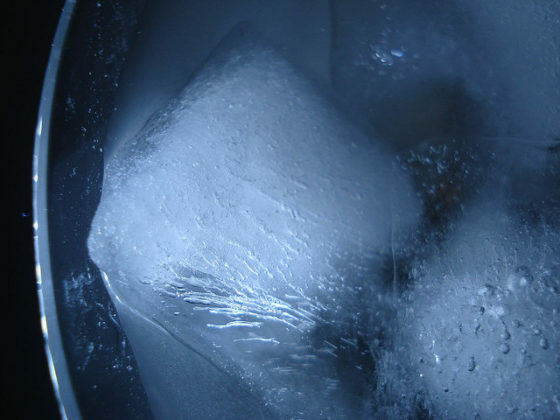 Background: Longtime participants in, and observers of, the Disquiet Junto series will recognize this single-sentence assignment — “Please record the sound of an ice cube rattling in a glass, and make something of it”— as the very first Disquiet Junto project, the same one that launched the series back on the first Thursday of January 2012. Revisiting it at the start of each year since has provided a fitting way to begin the new year. At the start of the sixth (!) year of the Disquiet Junto, it is a tradition. A weekly project series can come to overemphasize novelty, and it’s helpful to revisit old projects as much as it is to engage with new ones. Also, by its very nature, the Disquiet Junto suggests itself as a fast pace: a four-day production window, a regular if not weekly habit. It can be beneficial to step back and see things from a longer perspective. Step 1: If you hosting platform allows for tags, be sure to include the project tag “disquiet0262” (no spaces) in the name of your track. If you’re posting on SoundCloud in particular, this is essential to my locating the tracks and creating a playlist of them. Step 3: In the following discussion thread at llllllll.co please consider posting your track. Deadline: This project’s deadline is 11:59pm wherever you are on Monday, January 9, 2017. This project was posted in the morning, California time, on Thursday, January 5, 2017. Length: The length is up to you, but three to four minutes sounds about right. Title/Tag: When posting your track, please include “disquiet0262”in the title of the track, and where applicable (on SoundCloud, for example) as a tag.